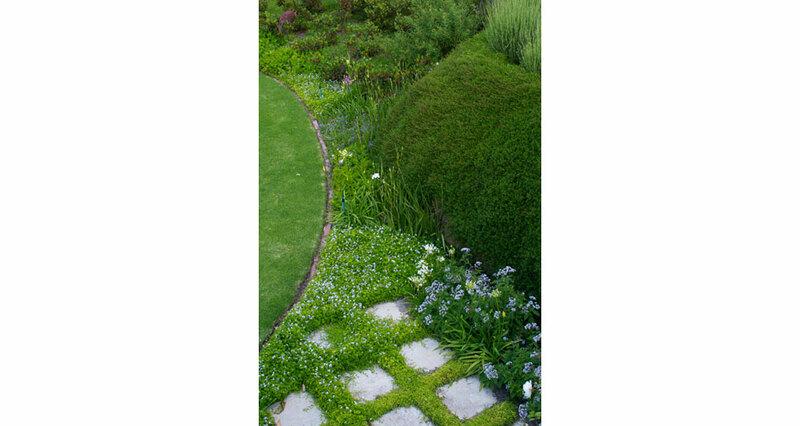 This garden was designed by Mary Maurel and built in 2010 for a new house. 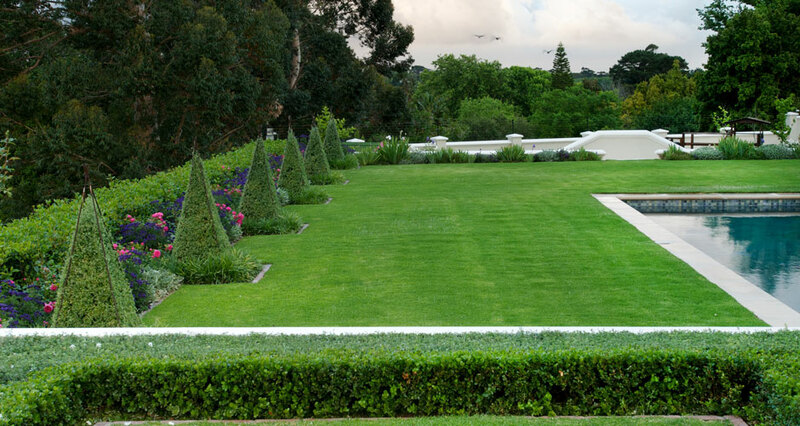 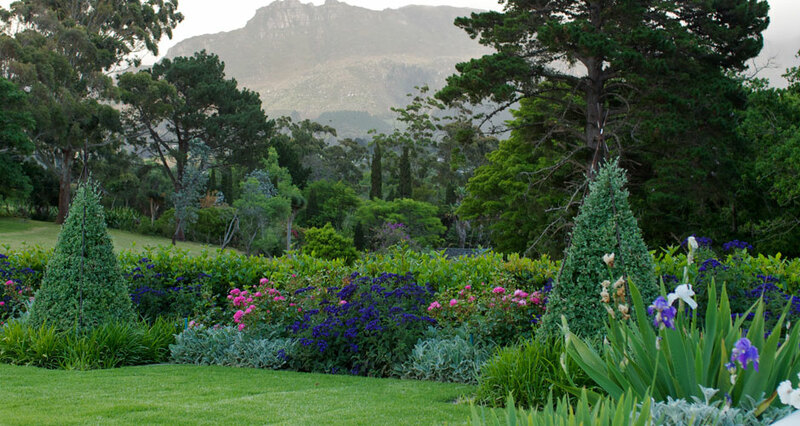 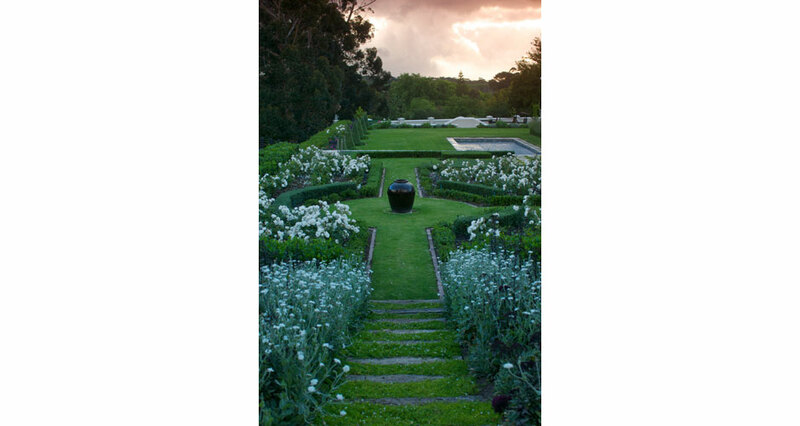 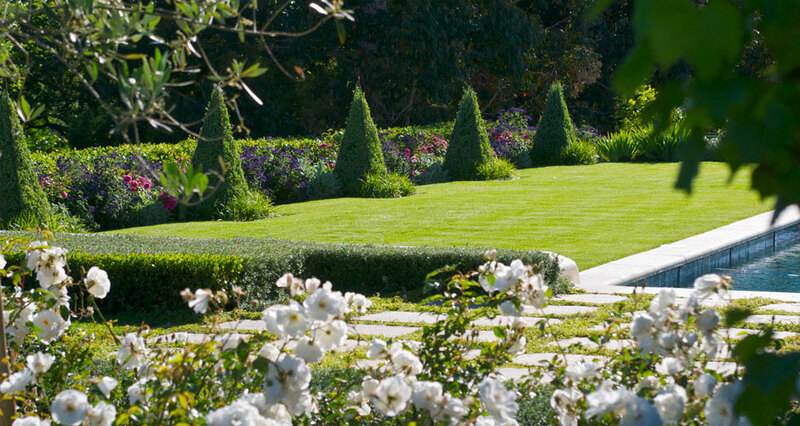 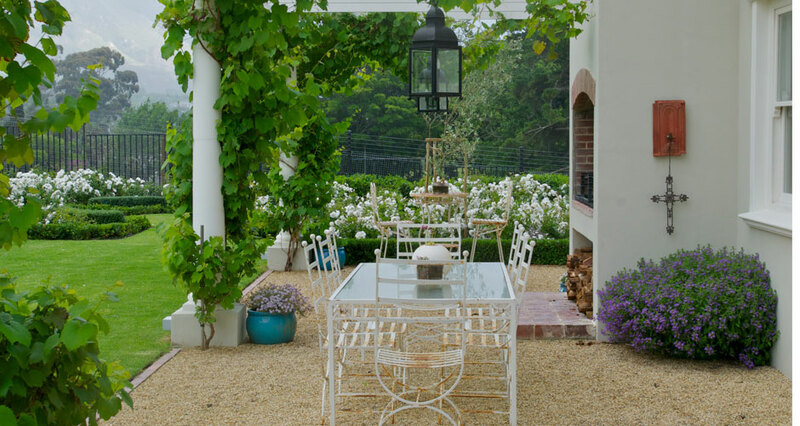 This is a formal/romantic garden in Constantia. 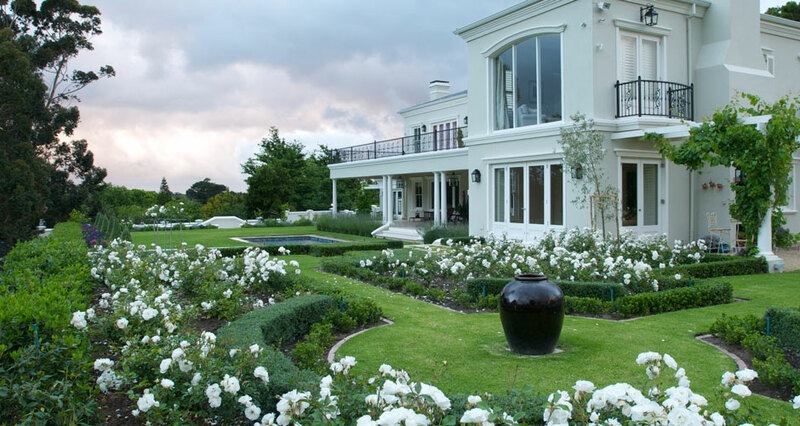 Due to poor soil conditions we had to remove hundreds of tons of clay, create a drainage system and import new topsoil. 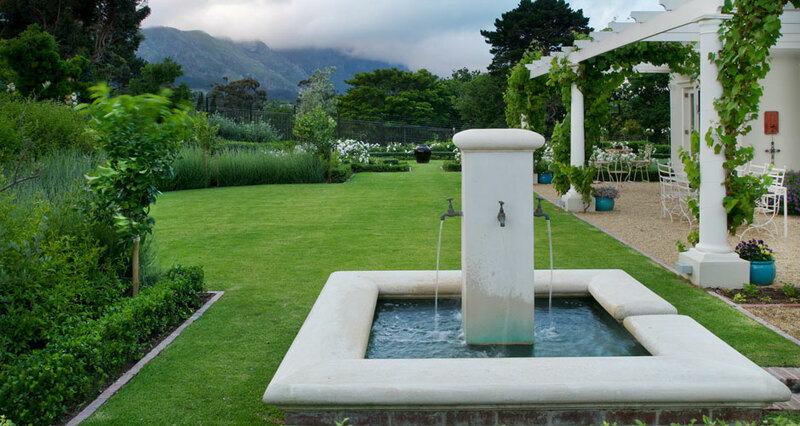 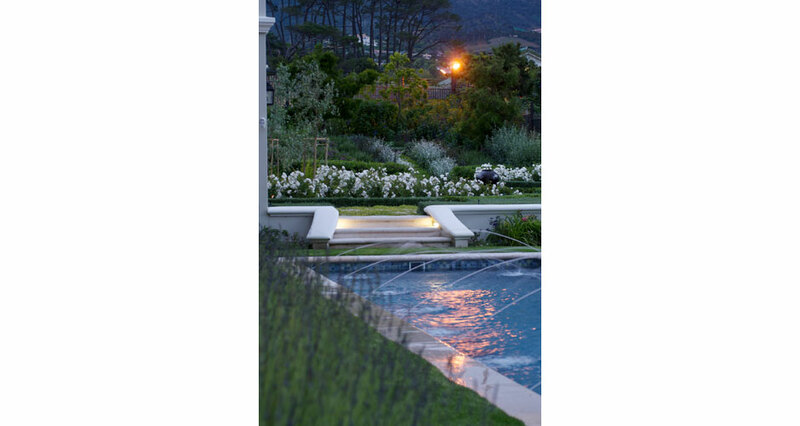 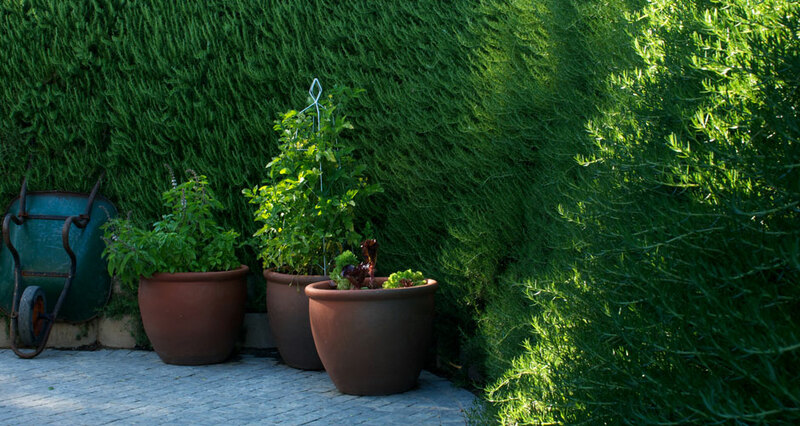 Together with a new sophisticated irrigation system this has given the plants optimal growing conditions and the garden has thrived.